India's Central Bureau of Investigation (CBI) has filed charges against nine people, including the country's former telecommunications minister, A. Raja, in connection with alleged irregularities in the allocation of 2G licenses and spectrum in 2008. The charge sheet, which sets the stage for the trial of Raja and others, was filed by the CBI before the court of a special judge for CBI cases in Delhi on Saturday. The CBI said it had established that Raja and others committed offenses punishable under the country's Indian Penal Code and the Prevention of Corruption Act. Raja and two aides were arrested in February by the CBI in connection with the agency's investigation into the alleged scam in the allocation of 2G licenses. Irregular allocations of 2G licenses and spectrum to some Indian operators in 2008 may have cost the country US$39 billion, according to a report by the Comptroller and Auditor General of India (CAG) that was presented to Parliament in November. Raja resigned a few days ahead of the presentation of the report in Parliament, after its contents were leaked to local media. The 2G licenses were issued at 2001 prices without an auction even though other government agencies, such as the Ministry of Finance, had asked the Department of Telecommunications (DOT) to review the decision, the CAG said. Some companies were also favored while awarding the licenses, even though the DOT had earlier said it would follow a "first come, first served" policy, it added. Others named in the CBI charge sheet on Saturday include Raja's two aides, and executives of two realty firms that obtained 2G licenses in 2008 and went on to sell stakes in their mobile companies to foreign mobile companies. 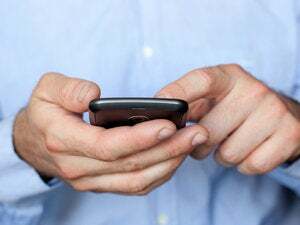 The two mobile companies and a company belonging to Anil Dhirubhai Ambani Group (ADAG) were also named in the charge sheet, according to reports. India's second largest mobile operator, Reliance Communications, is part of ADAG. One of the mobile companies, Unitech Wireless, which has Telenor as an investor, said in an emailed statement Saturday that the CBI charges have yet to be proven and that it will argue its case in court. The company added that it believed it was eligible for the license and has rolled out services as required. Unitech Wireless uses the Uninor brand in India. Etisalat, which has a stake in the other mobile operator, Etisalat DB Telecom, was not immediately available for comment. Etisalat DB Telecom was called Swan Telecom before the UAE operator acquired a stake in the company. Etisalat said in February that it acquired its stake in December 2008, after Swan had applied for and obtained 15 licenses. Etisalat said it had no involvement in the license application process and that it had purchased its stake in the company on the belief that the licenses had been properly granted.